You can join the OEC Riders Club, which offers great benefits to its members, including privileged rates for use of the facilities, reductions on show entry fees and up-to-date information about planned activities at the Centre. Members automatically receive a £1.00 discount from the published price of all entry fees (affiliated shows and clinics not included). A 10% saving applies to facility hire (indoor arena, jumping arenas and more). 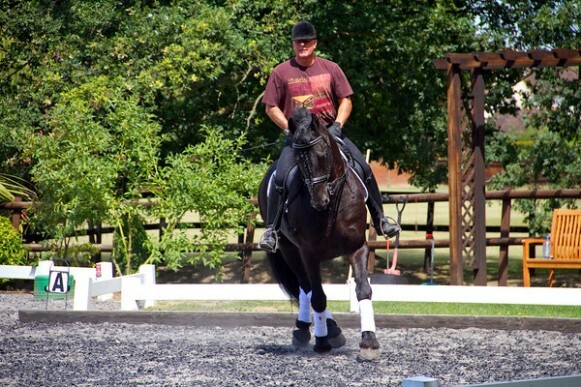 Our facilities are thus available to riders and trainers who are not based at the Centre, making it even easier to produce your horse in a full competition-type environment. Annual membership costs £20.00 for adults and £15.00 for juniors (age 2-16). Family membership, for two adults and two children under 16, is available at an annual cost of £45.00. To join the Oldencraig Equestrian Centre Riders Club, please download and complete the form then post it to us together with your payment. Your membership will be sent shortly, please enclose two passport sized photographs with your cheque made payable to Oldencraig Equestrian Centre.